The Cambridge Hotel offers a number of ways to make your stay extra special – if you know about them! If you’re looking for tips from in-the-know Sydney travellers, check out the Netflights Sydney destination guide. 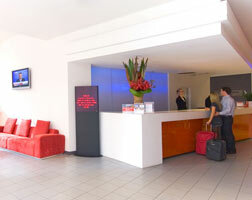 - Rooms facing the road upwards of the 7th floor are your best bet for getting a good view of the Sydney Opera House. - Generally, the higher the floor, the better, and quieter. - Corner rooms on higher floors are generally more sunny. - If your room overlooks Riley Street, you will be in a good place for sunset watching. - If you rely on WiFi, check the signal strength before you unpack.